God wants to forgive us of all of our sins in the sacrament of reconciliation and bless us with great graces (help) in our daily lives. However, in order for Him to do that we must actually be sorry for them—not just sorry because we got caught and are now embarrassed (even though being caught can spur on actual sorrow) or sorry that our sins are causing us a life of torment (even though seeing one’s life in misery from their sinful choices can develop into true sorrow), but rather sorry because we possess some sort of actual sorrow for choosing sinful ways over God’s ways. Since God’s mercy is so incredible, God will forgive anyone of any and all sins if they possess just the smallest amount of actual sorrow, but there must be true sorrow present in their soul for forgiveness to be given, not a contrived word that is said with no meaning from the heart. Actual sorrow is calculated on a scale of almost no sorrow to perfect sorrow (perfect contrition). 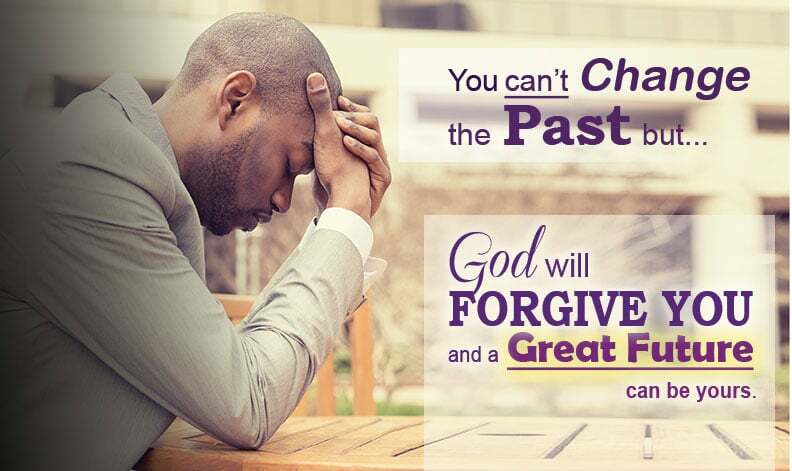 Yet, God will forgive just the same no matter what amount of sorrow someone possesses in the sacrament of reconciliation because of His great love for us. Of course since God is all fair and just too, He blesses and rewards those with a more perfect sorrow with greater and greater graces during confession for help in their life, but the forgiveness is the same. Someone can go their entire life and have never confessed their mortal sins or even looked for forgiveness from God and at the last hour of their death, if they repent, to a priest or to God with perfect contrition, the same eternal reward is theirs (he is saved). That is a loving God! Now, that doesn’t mean God isn’t a God of justice and since God rewards and punish us for our life choices, “For [God] will reward every man according to his works” Romans 2:6, that same person, who is now saved, will be held accountable for all of their choices they made in their life on earth in purgatory (where their soul is purified/punished for all of their unatoned sins and made free from the stain of their offenses for entrance into heaven). For those who have covered many of their sins on earth (“Above all, maintain constant love for one another, for love covers a multitude of sins.” 1 Peter 4:8) and have reduced the penalty of their offenses for their sins, they are rewarded in heaven, for eternity, for all of the good choices they made in their life. In heaven there are different levels with God, some are the least and some the greatest, based on how faithful someone was during their life on earth. “Therefore, whoever breaks one of the least of these commandments, and teaches others to do the same, will be called least in the kingdom of heaven; but whoever does them and teaches them will be called great in the kingdom of heaven” Matthew 5:19. Therefore, work hard on earth for a great life with Jesus in heaven; it is worth all of our efforts. It is forever. If for no other reason than to avoid the punishments in purgatory, which the saints describe as horrible suffering, for every sin that wasn’t paid for during ones time on earth. Thus he made atonement [payment] for the dead [who are in purgatory] that they might be freed from sin [so they may enter into heaven when purified]. The most basic primitive amount of sorrow someone can possess and still be forgiven is being sorry for their sins because of fear of the Lord. Fear of the Lord is what begins wisdom (cf. Proverbs 9:10). Without fear of the Lord there can never be sorrow. If someone wants to confess their sins, looking for forgiveness, because they are worried about God’s just judgement and suffering eternally in hell for their sins, that is actual sorrow. It is a start. Nonetheless, desiring forgiveness and to wanting to omit sin from someones life shouldn’t stay at the lowest level of sorrow. Someone’s sorrow should grow in time, and eventually that sorrowful person should loose fear of the Lord and possess perfect sorrow through a great sadness that they have truly offended and caused the horrendious lashes on our Lord’s Holy Body, whom they should have loved with all of their heart, soul mind and strength. If someone “says” they are sorry because they are worried about the loss of heaven, yet, they aren’t willing to do the smallest thing to avoid recommitting the same sin, that makes their words of sorrow a lie, and still makes them deserving of Hell, if it was a mortal sin they weren’t sorry for, since sorrow is proven by ones actions, like faith. Someone can’t say they believe in God, with their words yet ignore prayer (God), avoid reading God’s Word (God’s instructions for our life) nor try to live His Word and not ask for forgiveness of their sins and claim they have faith. That “faith” is dead as the Bible says (cf. James 2:14-26). Belief in God is more than saying “I love Jesus”, it is proven by our actions of love for Him and it is no different for sorrow. Actual sorrow = change. Someone must be willing to change. Even possessing something as small as only having a firm resolve (strong desire in ones heart) to sin no more is enough for actual sorrow to exist. But it must be true and God who reads the minds and probes the heart knows if there is a real desire to not recommit the sins someone’s claiming to have actual sorrow for. Nobody can “con” God and say with their words one thing and really mean another in their heart. If someone is lying to God about their sorrow, there won’t be any forgiveness from our Lord regardless of whether the priest “absolves” the sins or not. Having a true desire to change from the grace someone already possess in their soul by their will alone (firm resolve), most of the time, isn’t enough to stop committing the offenses that are hurting their relationship with God and harming their life of Joy they should be experiencing. Therefore, to receive additional grace, which is our strength to say no to sin, one must at least pray and pray often to God for help to not choose the same sins over and over again since prayer sends grace. If from a firm resolve and prayer one still doesn’t possess the ability to not fall into temptation, which is most people, someone NEEDS to make a RESOLUTION (actual things you do like remove immoral TV channels, make godly friends, limit excessive behaviors, sacrifice what you want for others, love those who are unkind to you, etc.) to change, to possess actual sorrow (one must do what ever it takes to stop sinning), we must love at all times, especially for those with deep habitual sins and of course mortal sins. It won’t happen over night most of the time, but with patience and endurance, God’s love will prevail. Remember if someone is truly sorry they desire to change and if what they are doing isn’t working, then someone must pursue new avenues of change to produce the results that a person of true faith would have. It is never acceptable to become complaisant with one’s sins claiming, “This is just how I am.” That isn’t sorrow and it isn’t true. God made everyone to be holy in every way. Being fine with scourging our Lord by ones sins, and remaining in sin isn’t ok with Jesus, who told us to “be perfect as our heavenly Father is perfect” (Matthew 5:48). We must be constantly trying to grow and change in closeness with God by the removal of our sins. God is worth our effort and wants to see our love for Him displayed in our actions which proves true faith and sorrow. One more thing…don’t forget about fasting and sacrificing to receive the grace to sin no more. Yes, really fast and sacrifice–not just when the Church tells you you should. Those are the minimum requirements to stay faithful. Those who are serious in wishing to follow Jesus will do as He has asked “If any want to become my followers, let them deny themselves [avoid worldly pleasures] and take up their cross [don’t complain about suffering-trust in God] and follow me [live His Word] (cf. Luke 9:23). This is the way to eternal life.